The St. Louis Event Space venue is 6,000 sq ft in Chesterfield Mall. You bring your own refreshments or catering. We’re surrounded by great catering options right here in our Chesterfield location. We supply the fun, the entertainment, and the laid back atmosphere you won’t find at any other venue. Other times & weekend hours are by appointment or scheduled event. Events are typically scheduled within mall hours. in the St. Louis Area! 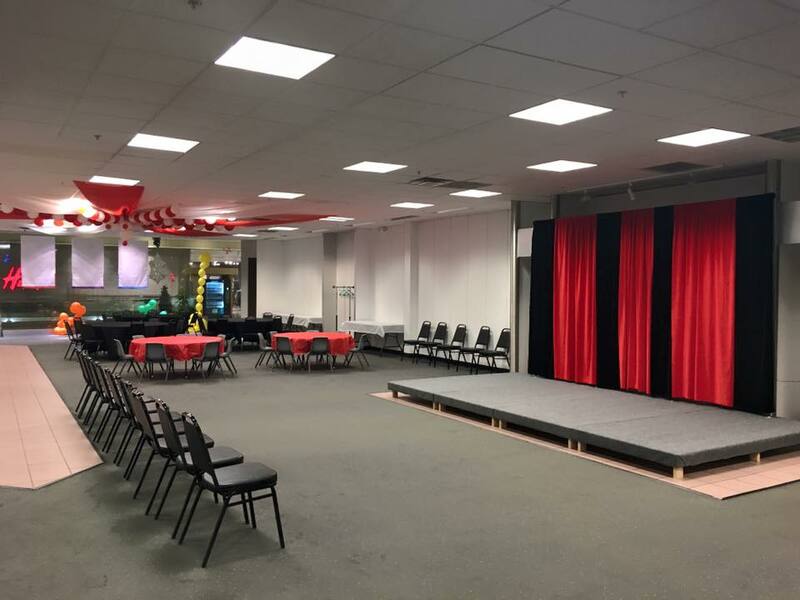 This web site is maintained by St. Louis Event Space to provide information about St. Louis Event Space and Circus Kaput (CK) booking services and to provide links to sites of independent subsidiaries that provide variety entertainment services in the USA.